Boys brogue brown tan velcro shoes, the perfect brogues for a formal occasion or to compliment his wedding suit. 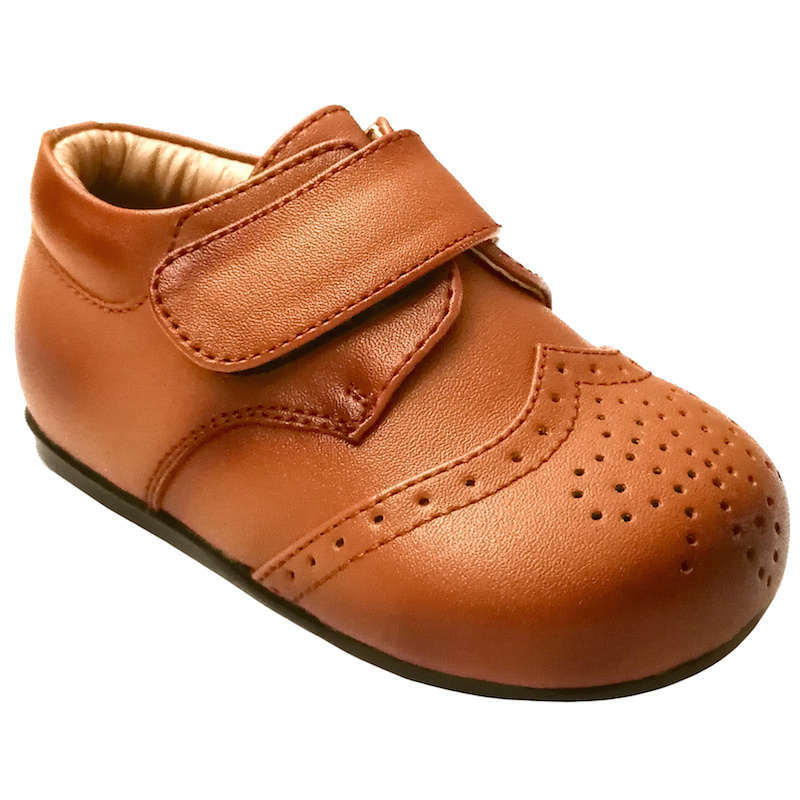 These adorable shoes in brown tan shade have a brogue design on the front of each shoe. They have a velcro fastening with a non-slip hard sole for walking toddlers / children. These brown brogues are a perfect compliment to our boys suits.